Fauxcades of Dallas, TX is simply one of the most fabulous event design firms in the Southeast, and we are always impressed with the new and innovative ways that they use our staple event products. There's nothing better than seeing how a team of creatives can really make use of high quality pieces that last through seasons' worth of weddings and events without repeating the same look twice. 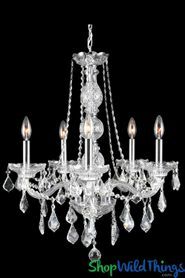 We pride ourselves on sourcing high quality Decor pieces and providing them at competitive prices. Our clients expect to get years' worth of life out of our event design staples. 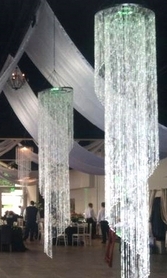 These swirl chandeliers and bead curtains are a great example of how investing in the best quality is the best option for your bottom line. 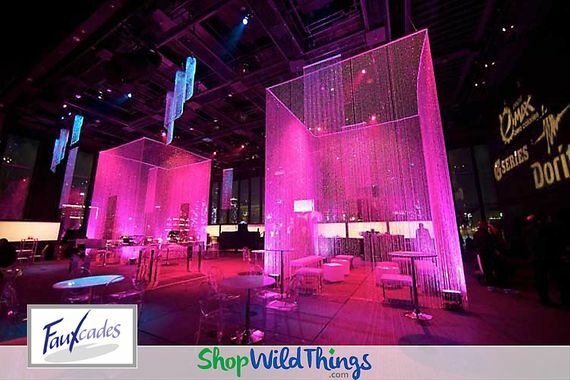 If you follow Faux�ades (and you really should), you'll see these staple pieces used as backdrops, as dividers, as ceiling Decor, and in more creative ways to create unique event spaces week in and week out. 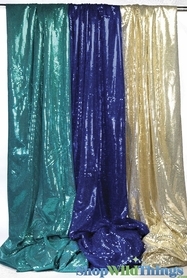 They are both beautiful and durable, and they can serve as focal points or as accent pieces. Check out the gorgeous space in the main photo ~ transformed from hotel ballroom to custom fabulous by Creative Lighting, swirl chandeliers and light kits (no wires/plugs needed), and flameless candles. 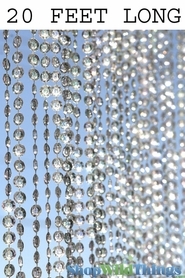 Crystal ceiling drapes, another of our most popular staple pieces, are key to taking this event space to the next level. They work seamlessly with existing chandeliers and metallic chair covers and table linens to complete the look of this reception. Wherever you are in your event design career, we can help you build a core of staple products that offer great wow! factor for your clients, dependable revenue for your business, and steady use for years. Whether you're choosing your first group of Decor staples or adding splashy pieces to an existing arsenal of Decor pieces, we will help you put together just the right mix of products for your events. Give our customer service representatives a call at 928-855-6075 and take advantage of their years of experience and product expertise. We'll get your next order placed, on your budget and in your time frame, and shipped to your location fast.